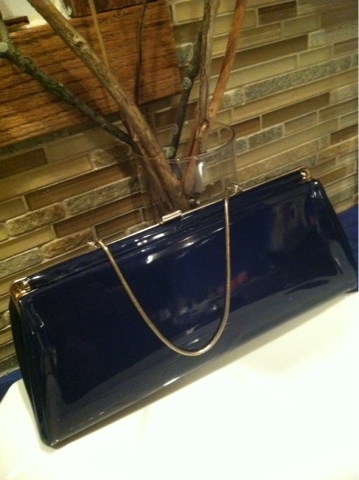 Ok, I didn't NEED this 1960's vintage blue patent leather clutch, but I needed it! You gals understand, right? Plus, it was only $7! I could turn around and sell it for double, but then I'd be out one awesome clutch! It has that old smell in it that only vintage aficionados can appreciate. This is going in my prized thrifting finds category for sure! Thanks! It is lovely, now I have to find an outfit to go with it. Darn!